The Premier League match that we're previewing for Sunday kicks-off at 4pm at St James' Park with 12th placed Newcastle United taking on Chelsea who currently sit in 3rd. We've listed British Bookmakers best odds for Newcastle v Chelsea below, a preview of the match, and the betting offers and price boosts to claim if you're having a punt on the game. Check out the best odds that bookmakers offer for a Newcastle win (H), a win for Chelsea (A), or a draw (D) below. Use the ALL ODDS tab to view more bookmakers odds. NB: Bookmakers best odds for Newcastle v Chelsea correct at the time this match preview went live and are subject to change. Last updated: 06:21 on 25/08/2018. As well as bookmakers best odds, we've also listed the betting offers and price boosts you can claim for betting on Sunday's match between Newcastle and Chelsea. Newcastle United v Chelsea is set be shown live on SkySports at 4pm on Sunday August 26th. 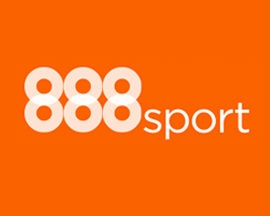 Signup at 888sport using promo '10FREE' and bet £10 on any market and you'll get £30 in free bets and a bonus £10 free bet to use on Newcastle v Chelsea. 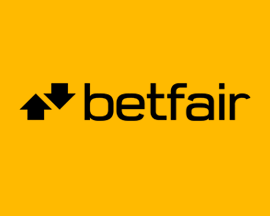 Signup as a new customer at Betfair today and you'll get the boosted the price of 33/1 on Chelsea beating Newcastle. Plus, also claim up to £100 in free bets! New Customers can get Chelsea at an enhanced 33/1 to beat Newcastle. Max Stake £1. Winnings paid in free bets, valid for 7 days, only deposits with cards/Paypal count. Exchange and multiple bets excluded. T&C’s Apply. 18+|Gamble Aware. 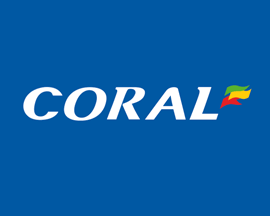 Signup as a new customer at Coral and they'll boost the price of a goal being scored during Newcastle v Chelsea to 28/1. Max bet is £1, get a £5 free bet if you lose! 18+ UK+IRE players signing up via promo page. Min deposit £5. Paypal & some deposit methods excl. Paid in cash at normal price. Enhanced odds paid in £5 free bets within 24 hrs, valid for 4 days, stake not returned, restrictions apply. T&C's apply. 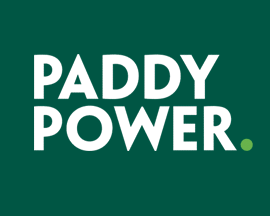 Signup as a new customer at PaddyPower today using the promo code 'YFBCAJ' and you'll get the boosted price of 33/1 on Chelsea beating Newcastle. Signup with PaddyPower today and bet £20 on Newcastle v Chelsea and if you don't win your bet, they'll refund your original £20 stake - in cash! Newcastle host Chelsea on Sunday at St James’ Park, and Rafael Benítez will be hoping that Newcastle can secure their first win of the season and gain some much needed points. It’ll be a tough match for Newcastle to win, even with a home advantage, as most online bookmakers offer Chelsea as the clear favourites to take all 3 points from this fixture. Although Chelsea are expected to win Sunday's fixture, Newcastle did manage to beat them 3-0 when they last met in the Premier League back on the 13th of May. Before that, Newcastle hadn’t managed to secure a victory against them since back in 2014, with Chelsea winning all but one of the 5 fixtures in between. The other match was played on the 26th of September in 2015 and ended in a 2-2 draw - the only stalemate in the last 12 Premier League matches between these two teams. In the lead up to the Newcastle v Chelsea match, we've taken a look at both team’s form to help you make more informed choices when betting on the game. After a respectable 10th place finish in their 2017-18 Premier League campaign, Newcastle have had a terrible start to the 2018-19 season, and it’s not set to get any easier for them. Fixtures against Man City and Arsenal loom following the Chelsea match and so it's imperative that they get something from the game to halt a slide down the table. Benítez’s men managed to secure their first point of the season away to Cardiff last weekend with a 0-0 draw, bu disappointingly Newcastle missed a late penalty to win it. This draw came on the back of a loss to Spurs in their opening match of the new season, leaving Newcastle sitting in 12th place in the Premier League table. With a raft of tough matches coming up, Newcastle really need to get some points on the board or they will spend the rest of the season playing catch up. Luckily there are no major injury concerns for Newcastle, with Yedlin expected back in the line up, although Manquillo still doesn’t have a return date. They may have won the last time they hosted Chelsea in the Premier League, but a similar result is a lot to ask from an under performing Newcastle side. If they can even hold Chelsea to a draw, it could give them a point and a confidence boost heading into the tough matches that are coming up in Newcastle's fixture list. Chelsea on the other hand have had a fantastic start to their 2018-19 campaign and currently sit join 1st in the Premier League table on 6 points from 3 matches. Sarri’s men have won both of their fixtures so far, starting with a 3-0 victory over Huddersfield, and followed up by a 3-2 victory against Arsenal in the London Derby last weekend. Sarri also has a pretty easy run of fixtures coming up, playing Bournemouth, Cardiff and West Ham, which should allow Chelsea to keep adding to their points tally. Unfortunately, Cesc Fabregas is still struggling with a knee injury, and could miss the Newcastle match, but apart from that, Sarri doesn’t really have any major injury worries. Chelsea are on form at the moment and should take all 3 points from Newcastle on Sunday. Newcastle and Chelsea have played each other a total of 163 times with Chelsea currently having won the most with 71 wins, compared to Newcastle's 53 victories. The last Premier League fixture between these two sides that took place at St James' Park wasn't actually that long ago as it occurred on the 13th of May earlier this year. The match ended with a 3-0 victory to the home side with Dwight Gayle scoring Newcastle's first goal and then Ayoze Pérez scoring in both the 59th and 63rd minute. Newcastle also played Chelsea in the FA Cup at Stamford Bridge on the 28th of January 2018 where they lost 3-0 thanks to 1 goal from Marcos Alonso and 2 from Michy Batshuayi. The previous 6 Premier League matches involving these two sides resulted in 2 wins for Newcastle, 3 wins for Chelsea and 1 of the matches ending in a 2-2 draw. The biggest win that Newcastle have had over Chelsea was a League Division One match on the 16th of November in 1974 when they won 5-0 in front of 35,236 fans at St James' Park. The whole of the Newcastle team were from England with Malcolm MacDonald scoring a double and Alan Kennedy, Stewart Barrowclough and Paul Cannell also getting on the scoresheet. The biggest margin Chelsea have ever beaten Newcastle by was a 6-0 drubbing on the 25th of October in 1980 when they played each other in the old League Division Two. The match at Stamford Bridge was attended by 22,916 fans and included a hat-trick from Colin Lee as well as solo goals from Clive Walker, Gary Chivers and Mike Fillery. Looking at the last 6 fixtures that Newcastle have played in all competitions, they've won 0, drawn 3, and lost 3 scoring just 3 goals (0.5 goal per game) and conceding a total of 9 goals. Chelsea's record over their last 6 matches in all competitions is won 2, drawn 3 and lost 1. They've scored more than Newcastle, 8 in total (1.33 goals per game) and conceded less (6).